Mattel Tyco R /c Batman? Radio Control Batcopter! Maisto R /c 1:24 Scale Ferrari 458 Italia Radio Control ! Porsche 918 Spyder Remote Control Rc Car Big 1:14 Tamaño ! 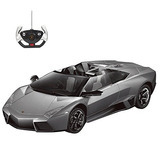 Mando A Distancia Lamborghini Reventon 1/18 Scale Rc! Haomsj Mini Coke Puede Acelerar Rc Radio Remote Conrtol ! R/c Rescate Fire Engine Truck Radio Control Dispara El Agua! Nuevo Bright F /f 9.6v Baja Extreme Silverado Rc Car (1:10 ! Redcat Racing 80142a Nitro R /c Starter Kit! Prextex Pack De 2 Dibujos Animados R /c Police Car Y Race ! Haktoys Hak138 Rc Stunt Car - Acrobatic 360 Tumbling, ! Prextex Rc Police Car Control Remoto Police Car Rc Toys ! Cars Crazy Crash Y Smash Lightning Mcqueen Rc Car! Thomas & Friends Fisher-price Trackmaster, R /c Thomas! Hosim Rc Car Shell Soporte S911 S912 Repuestos Sj03 ! 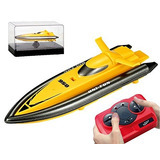 Cartoon R /c Formula Race Car Radio Control Toy Por ! Thomas & Friends Fisher-price Trackmaster, R /c Percy Tren! Rastar Ferrari F138 R /c, Escala: 1/12! Mercedes Benz Slr Mclaren R /c Radio Control Remoto Coche ! Jada Toys Girlmazing Big Foot Jeep R /c Vehículo (1:16 ! Liberty Imports Large Rc Remote Control Rescue Ambulance ! Juego De Piezas De Repuesto Para Cheerwing Cw4 Udi Rc U42w !